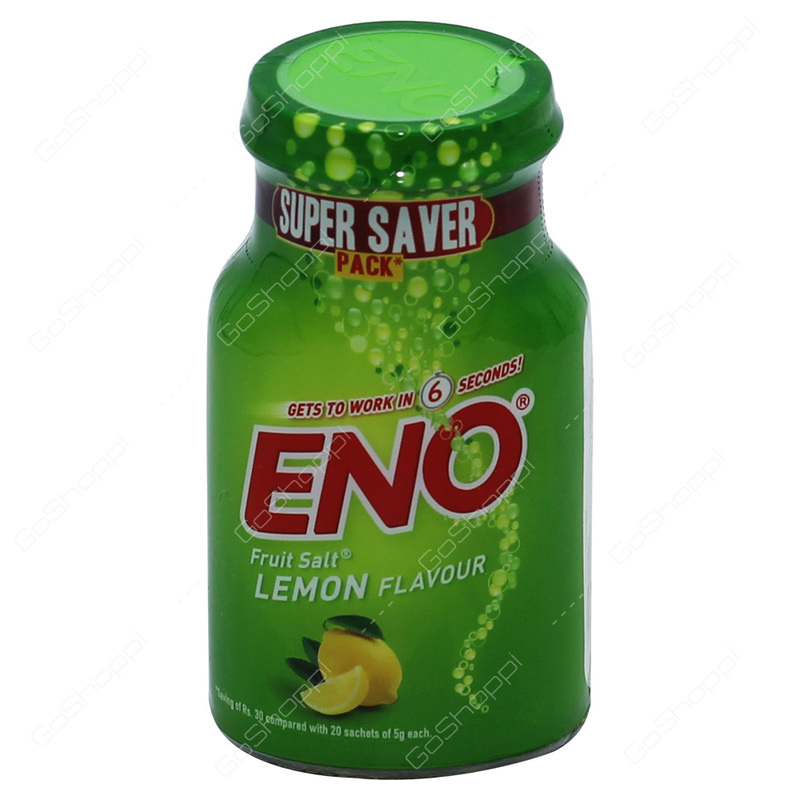 Eno Fruit Salt Lemon Flavour is an antacid powder which is mixed with water that produces a sparking antacid drink for temporary relief of heartburn and indigestion. It works within 6 seconds. Eno is a trusted antacid product that gives instant relief from bloatedness, acidity, gastric discomfort and heartburn.